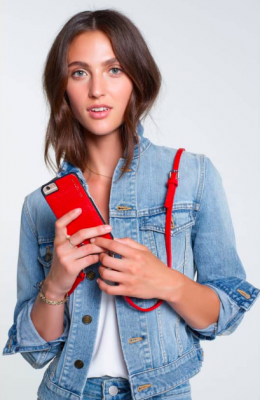 One of the hottest iPhone accessories on the market today, the iPhone crossbody purse by Bandolier is the ideal gift for the phone-obsessed fashionista in your life. A slim leather case with an optional, adjustable crossbody strap and a snapback cover that conceals cards and cash – what’s not to love? 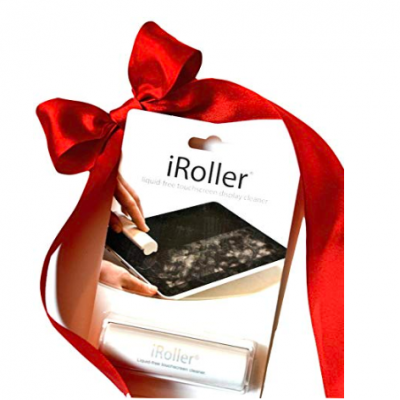 This nifty, reusable liquid touchscreen cleaner for smartphones and tablets is one of the most practical stocking stuffers you can buy for a phone addicted friend. Just place the gripping surface on the screen and roll it back and forth a few times to remove any fingerprints, smudges, dust and debris all while sanitizing your device. Another great, affordable stocking stuffer, this Bluetooth camera shutter remote control is the ideal gadget for hands-free picture taking. No more struggling with the self-timer, just put on the wrist strap, face the camera, and press the button to take a shot! 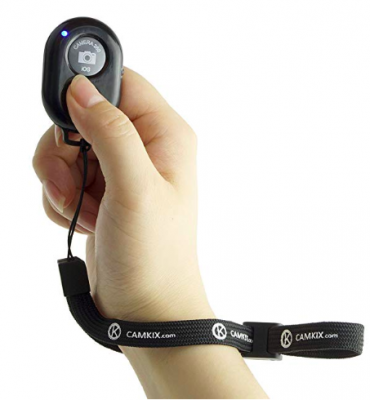 Best of all, the CamKix remote control is compatible with all iOS and Android devices that are Bluetooth-enabled. 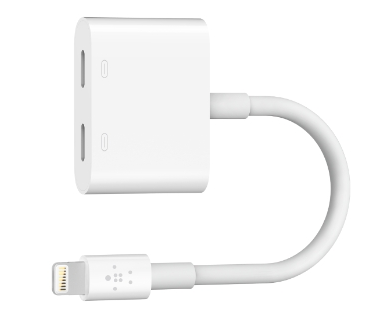 For the audiophile who’s frustrated at not being able to charge their phone and listen to music at the same time, check out this clever accessory from Belkin. Made for the newer models of iPhone and iPad, the Audio + Charge Rockstar can be used virtually anywhere: at home, at work, in the car or on the go! 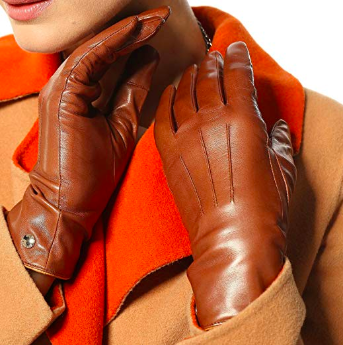 Functional and super stylish, these touchscreen gloves feature soft hairsheep leather on the outside and a cozy 100% cashmere lining on the inside. With its precision touch point control, your smartphone screen will respond to all activity while wearing the gloves. Tetherless is the way of the future and Native Union is leading the charge this year with their gorgeous new wireless charger made for iPhone and all other Qi compatible devices. 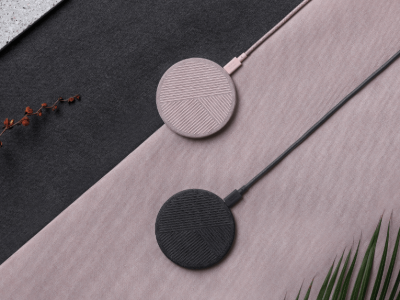 The Drop wireless charger features a silicon tread design to keep your device in place while it charges prevent your phone from overheating for optimum charging speed (up to 10W). This one’s for the Instagram influencer in your life. 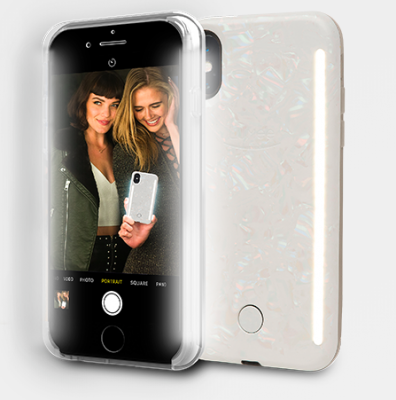 The LuMee Duo Mirage is an ultra glamorous iPhone case that boasts filtered lights on its front and back to ensure the perfect selfie or portrait. What’s more, the lights balance out uneven, unflattering backlights and feature adjustable brightness so your clubbing bestie can capture her best dance moves!